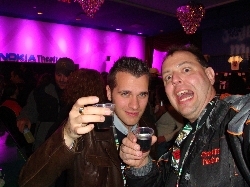 Fritz and his buddy, Rocko Dorsey attend the Jagermeister Fall Music Tour in New York City on November 19, 2008!!! Fritz's Polka Band is truly proud to be a member of the Jagermeister Family. Just one of the many perks that Jager provides bands is the opportunity to check out the Jagermeister Music Tour (in a VIP way!) when it's in-action. On Wednesday, November 19, 2008, Fritz and his buddy, Rocko Dorsey made the trip to New York City to check out the Jagermeister Fall Music Tour, at the Nokia Theatre in Times Square featuring Hinder as the headliner. Trapt, Rev Theory, and Octane were also on the bill. Fritz and Rocko had a blast meeting old friends from the "Jager Family" that evening, as well as making new friends. Below are 14 pictures taken that festive night. 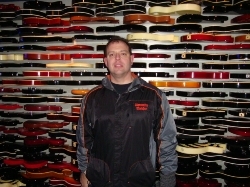 Fritz is pictured in front of the "wall of guitars" at the Hard Rock Cafe in New York City on November 19th. Rocko and Fritz stopped by the Hard Rock Cafe for a bite to eat before the Jagermeister Music Tour in New York City on November 19, 2008. 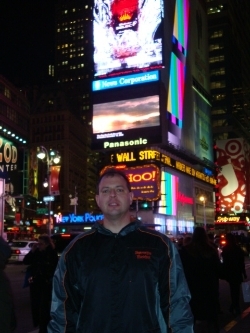 Fritz is pictured here in Times Square in New York City on November 19th, prior to the Jagermeister Music Tour at the Nokia Theatre. Fritz and his buddy, Rocko (R) are pictured here with Jager Tour Manager, Jack Carson and Jager Executive, Erin, on November 19th during the Jager VIP Party. 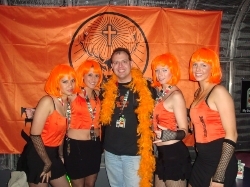 Fritz shows here why it's so great to be sponsored by Jagermeister, as he hangs with the Jagerettes during the Jager VIP Party on November 19th at the Nokia Theatre in New York City. 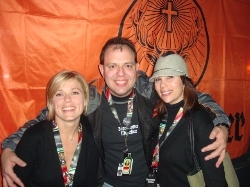 Fritz is shown here with Dawn DeLuca (L) Jagermeister Brand Manager, and Elise, Jagermeister Executive on November 19, 2008 in New York City. 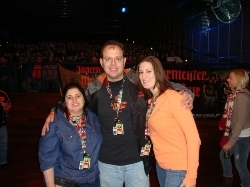 Rocko is pictured here with Amanda (L) and Melissa (R), two new Rocko Dorsey fans, during the Jagermeister Music Tour on November 19th. 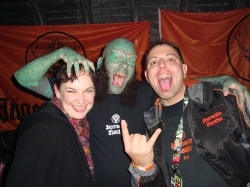 Fritz is pictured here with Tracy and The Lizardman during the Jager VIP Party on November 19th. 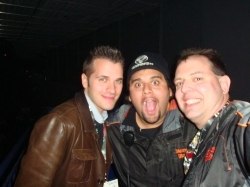 Rocko and Fritz are pictured here with Rich Luzzi, lead singer of Rev Theory, on November 19th at the Nokia Theatre in New York City. 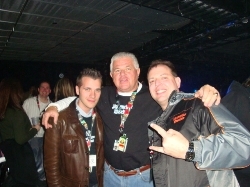 Rocko and Fritz are shown here with Bob, during the Jager VIP Party on November 19th. 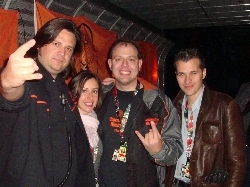 Rocko and Fritz toast some Jagermeister during the Jagermeister Music Tour in New York City on November 19, 2008. 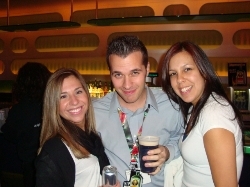 Fritz poses with some new Fritz's Polka Band fans during the Jager VIP Party on November 19th. 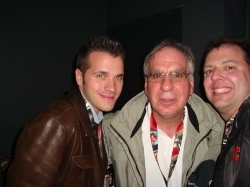 Rocko and Fritz are shown here with Ed, during the Jager VIP Party at the Nokia Theatre on November 19th. Rocko and Fritz are pictured here with Joe, during the Jager VIP Party on November 19th. 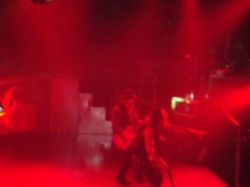 Hinder tears through a tune during the Jagermeister Music Tour at the Nokia Theatre in New York City on November 19, 2008.